This is my new He-55, a standard He fighter with a ejection seat, supermaneuverability, 1 hour flight time (non afterburning) and ease of control. This particular model has leading edge slats to help with maneuverability, and a good wing configuration for a high speed chase. 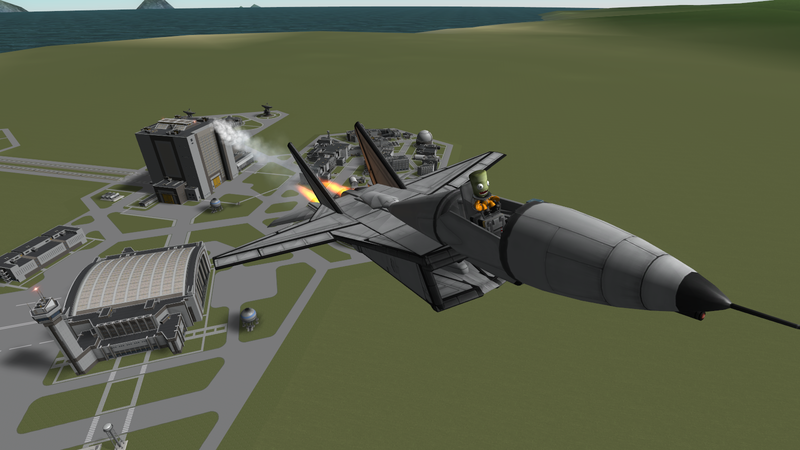 Have fun doing stunts, as this aircraft is the easiest to control supermaneuverable jet I have created yet. A stock aircraft called He55. Built with 133 of the finest parts, its root part is airplaneTailB.